Have you visited your dentist lately? Did you know that dental care and dentists play a key role in keeping you healthy? That’s right. Oral health plays a very important role in overall health. Some medical conditions have symptoms that appear in the mouth. Regular dental visits can help spot oral health problems early on when treatment is likely to be simpler and more affordable. Research suggests there may be an association between gum disease and serious health conditions such as heart disease, stroke and diabetes. With oral health linked to serious chronic conditions and diseases, a dentist could be the first person to detect serious health problems. Brushing your teeth twice a day. Floss or use another between-the-tooth cleaner once a day. Consider also using an anti-microbial (germ fighting) mouth rinse every day. 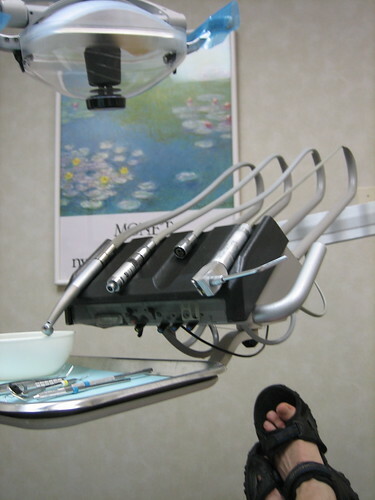 Scheduling regular dental checkups. Professional cleanings are the only way to remove tartar, which traps plaque bacteria along or below the gum line. Telling your dentist about changes in your overall health, particularly any recent illnesses or ongoing conditions. Provide an updated health history including medication use – both prescription and non-prescription products. If you use tobacco, talk to your dentist about options for quitting. Having both medical and dental coverage helps to emphasize the connection between oral health and overall health. With a healthier mouth and a healthier body, you can focus on what’s important. So, remember to brush and see your dentist regularly. It’s good for your health!